Family business… – …STILL CRAZY AFTER ALL THESE YEARS! 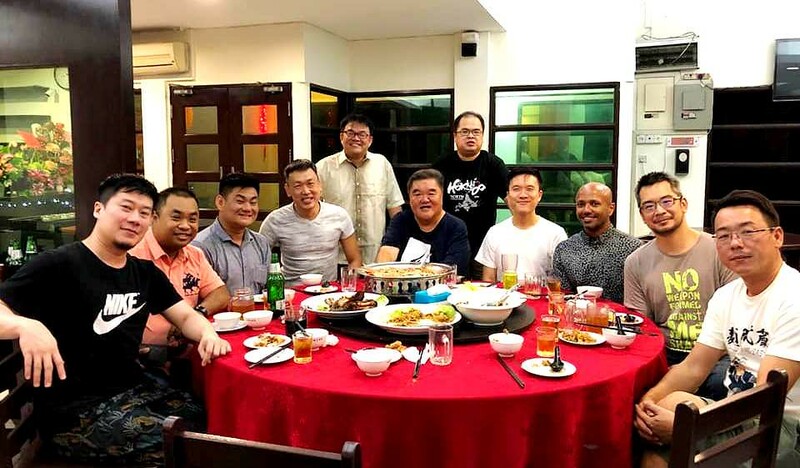 So nice of your former students to invite you to a reunion dinner. Are you the only teacher there? Yes, the one and only. Usually, these boys would get together in one big group to go and visit one another’s houses and also their teachers. I did not see Facebook photos of them doing that this year – maybe not many of them came back. 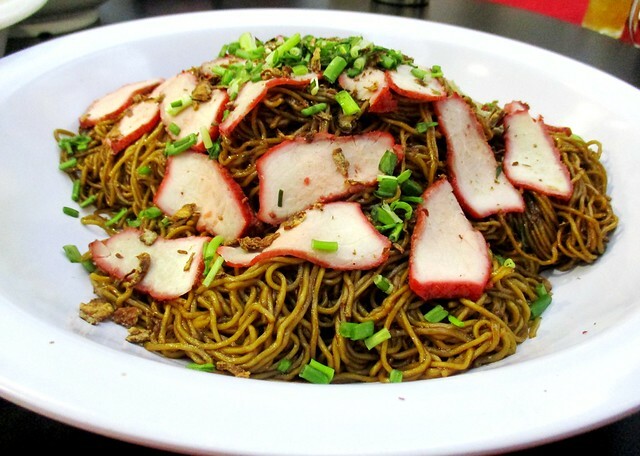 The kampua mee looks great and with big portion. It seems that most of your ex students, if not all will inivite you whenever there is a reunion. This shows how popular you are, hahaha…..
No, definitely not all. Many will run away at the sight of me. LOL!!! The noodle sure looks good, need more of those here in KL. Easy and fast to cook, good to eat! Can’t understand why they can’t seem to get it right over there, many of them are merely trying to bluff their way through…or worse, they employ those migrants to do the cooking!. What’s most important is it is worth it. What’s cheap need not be value for money, RM2.50 or less even for a plate but it is not really nice. For people keen on having something filling to last through the morning, that would be good enough but personally I do not mind paying more for something that is a cut above as far as taste is concerned. Wow! Business must be good. Even at night, still got customers. Or maybe those were all the people home for Chinese New Year, so late already, still quite a crowd there. They never can get enough of kampua! I dont mind paying RM4 for a good plate of good noodles. 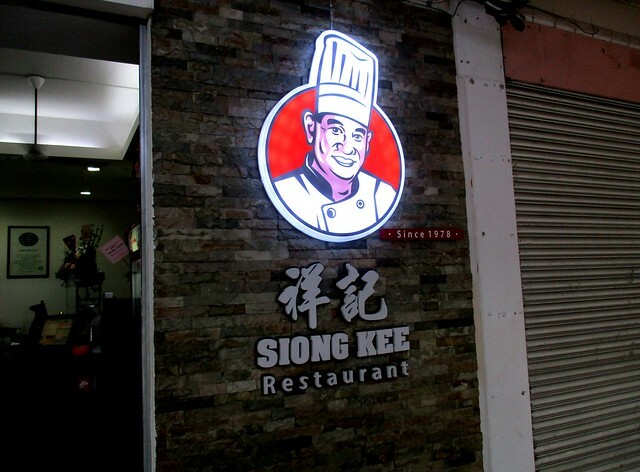 We pay about RM7 for a regular plate of wanton noodles here. Noodles and wonton only. 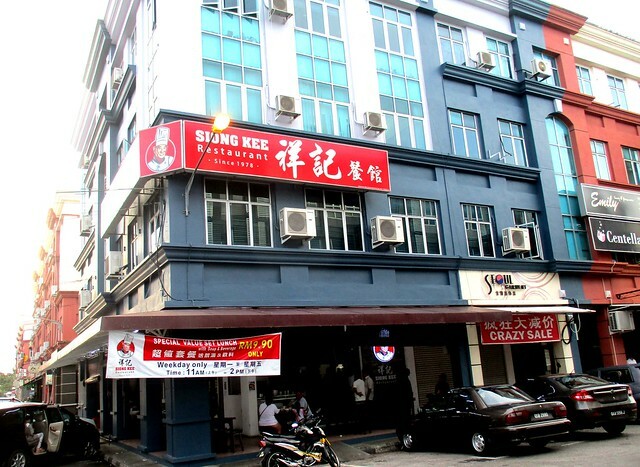 Yes, even at the higher price, it is cheaper than other places here, like Kuching, for instance. That was exactly what my friend, Shereen, in New Zealand said before she came to Sibu – how could anything so pale be so nice? Once she tried it, she agreed with me that the white version is better. The stronger tasting dark soy sauce will drown out the fragrance of the lard and the shallot oil. My friend, Annie, in KL,likes the black version though. Pingback: Memories of the past… – …STILL CRAZY AFTER ALL THESE YEARS! 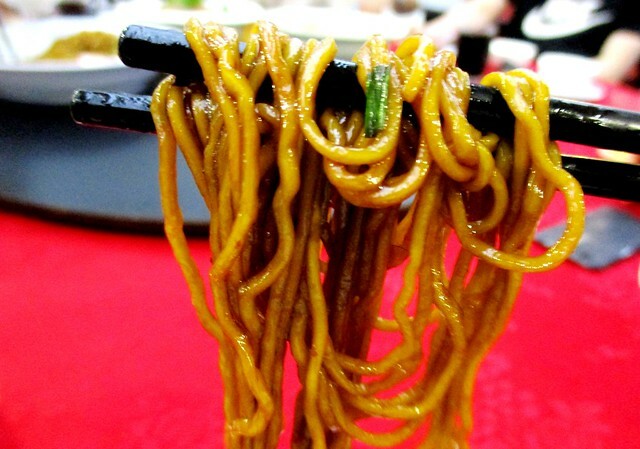 The Kampua Mee in the last photo looks so yummy. Wow all boys in the photo, haha. Pingback: You’ve come back… – …STILL CRAZY AFTER ALL THESE YEARS!